If you asked me a year ago what I thought about direct mail, I would have said it’s a waste of time and money. I thought direct mail was dead. I didn’t understand why marketers were still investing in it. Now, I'm bombarded with noise from email and social feeds. I find myself deleting apps so I can have some peace. I’m actually noticing the promotions in my physical mailbox. Even more, I’m actually acting on some of these promotions. Well maybe, but another reality is that the mail I’m receiving has gotten better, especially from D2C brands. It’s much more targeted. It solves a problem. It’s even nice to look at. Direct mail isn’t dead — if anything, it’s having its renaissance. 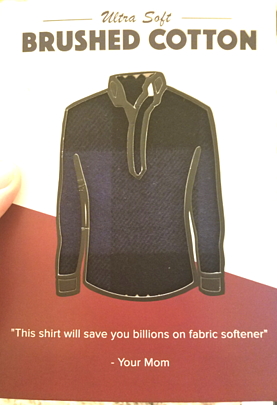 I realized that if I ever wanted to launch a direct mail campaign, I’d have no baseline of what’s considered good. So, I’ve been looking for inspiration from the best D2C brands out there. I think this a great example of connecting your brand to a greater good. Warby Parker says that for every pair of glasses you buy, they donate a pair to someone in need. 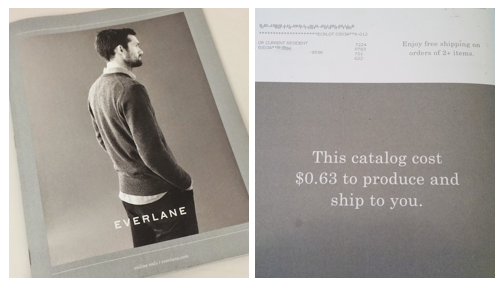 Everlane also connects you to a greater good: eliminating waste. I’ve mostly seen this in how they sell their clothes, so it’s cool to see them carry this mission across literally everything they do, even their mail. Blue Apron makes it really easy here to jump on the bandwagon by offering two free meals. And then they walk you through how they make your cooking life a lot easier. Their copy is punchy and convincing. I like the simplicity of this postcard Casper sent out — there’s not much distraction. They also include social proof that’s hard to ignore. Similar to Blue Apron, Casper makes it easy to choose them by offering $100 off on a mattress. 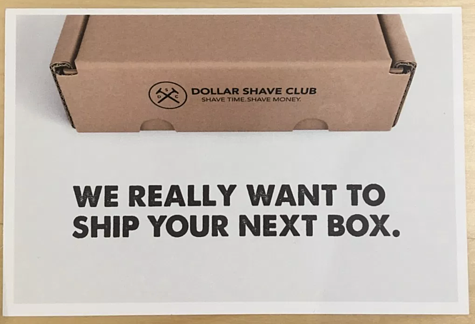 Dollar Shave Club gets more creative with postcards — this is their way of asking customers to update their payment information issues come up. A friend of mine updated his payment info within just a few days of receiving this. Sure, this could have been a simple email, but it’s much more impactful as physical mail. Barkbox sends a stuffed postcard on your dog’s birthday. This (including everything else they send) is addressed to your dog, not to you. In an age when everyone treats their dog like their child, extra touches like this go far. I’ll likely remember to use Barkbox when I actually have a dog. Chubbies sends tiny samples of their shirts. I never thought this would be a thing, but it makes sense in their case. When you’re trying to show what “ultra soft brushed cotton” is like, you can’t really describe it — you just have to feel it. Bonobos was built around getting just one thing right: making men’s pants that fit well. Their catalogs expand on this in a clever way, using headlines like “Fit for Miami” or “Fit for Detroit.” Their pants aren't for me, but I can see how their simple messaging is appealing. Away sells luxury suitcases that are affordable. Aside from their nice visual here, I like how they emphasize how their suitcases make great gifts. How often do you hear someone complain, “I don’t know what to give so-and-so for their birthday”? Away might come to mind next time the problem arises. If Ancestry.com and 23andMe have taught us anything, it’s that people want their DNA stories. So why not apply the same thing to dogs? Embark sends out this postcard which not only gets people talking, but also offers a $25 discount. After looking through dozens of pieces of mail over the past month, I've been thinking about what it takes to make a successful direct mail campaign. 1. Get in the game: Just get started with a direct mail program — it's never too late to see great returns. 2. Keep it simple: People are more likely to respond to something they can quickly understand. 3. Iterate: Test and improve on your direct mail campaign like you would any other campaign. I understand why D2C brands rely on direct mail now. It’s a channel that’s been under-utilized, making it ripe for exploring. As you start your direct mail adventures, hopefully the above gives you a better sense of what to do. Now that we’ve covered how to attribute TV and radio ads, we’ll cover how to attribute direct mail. If you’ve considered running TV or radio ads, then you've questioned how to measure their impact on conversions.